I have been living back in Houston for the past two years now, a fact that I find completely unbelieveable. Time, you are a flyin'! I flipping love Houston food. 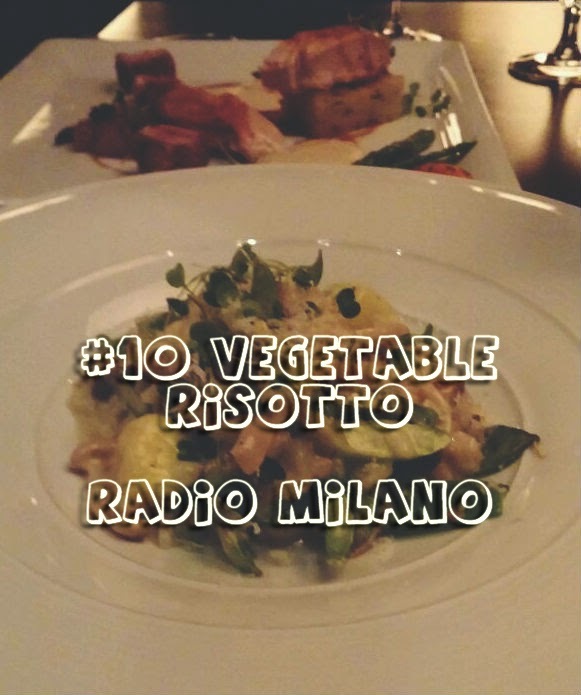 During a super fun night out with my boyfriend Jon and our friends Lindsey and Caleb (a night that kept the room spinning and left me eating Kraft mac and cheese for breakfast, lunch, and dinner the next day because when you're pushing 30 hangovers are a whole new level of Worst Thing Ever), we had dinner at City Centre's highly regarded Radio Milano. The service was so incredible that our server completely created a new dish for me to accommodate my vegetarian diet. Behold the vegetable risotto: creamy, fluffy, filled with various vegetables, and lightly accented with truffle flakes and pecorino romano. It may not cure hangovers, but it does change lives. I am not a dessert person at all. If given an after-dinner option of cake or an entire bag of kettle cooked salt and vinegar chips, I'm choosing the latter (#help). So it's saying a lot that a dessert has made my Top 10 list. 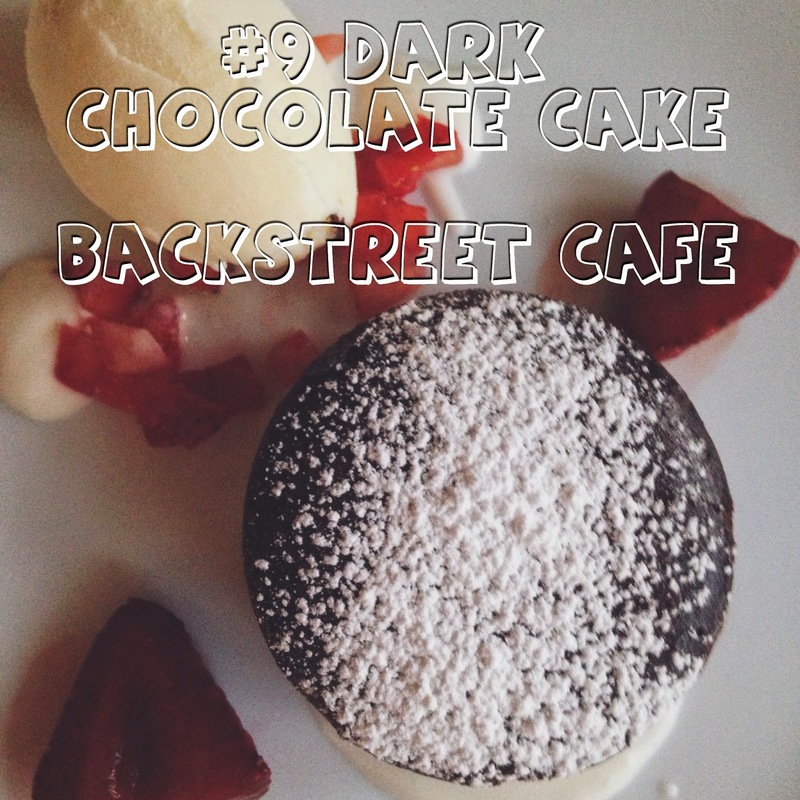 While dining off of the 2014 Houston Restaurant Weeks menu at Backstreet Cafe last year with my friend Meredith, I had an otherworldly experience with their dark chocolate cake. I'm surprised I didn't get kicked out of the restaurant because with every bite, I emitted a new delightful noise at the divine decadence of this dessert. Go there. Get it. But consider yourself warned: I'm not bailing you out of jail for public misconduct with a piece of cake. 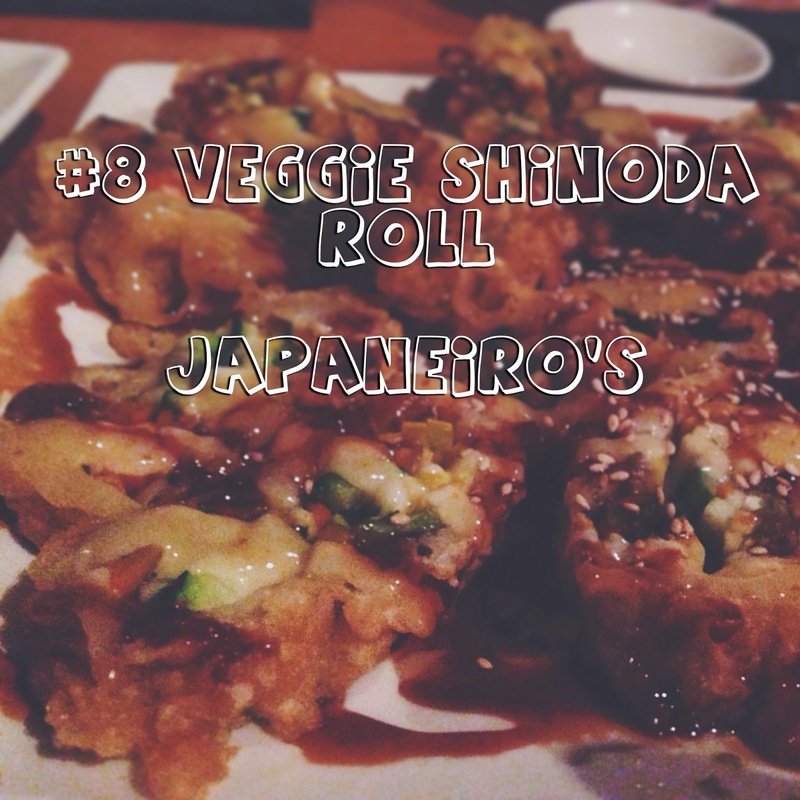 I am happy to report that two Houston suburban dishes have made it to this year's list, the first being the veggie shinoda roll at Japaneiro's in Sugar Land. Jon and his sisters Joanna and Jaclyn have been frequenting this trendy outer-loop spot for years, and I am so glad they admitted me into their club. Because it was there that I experienced the best vegetable sushi roll I have ever had. The veggie shinoda roll is covered in deep fried tempura coating, and filled with an exciting medley of soft vegetables. The various sauces it is topped with give the intricate roll some serious depth. Is it healthy? Not a chance. But what's life without a few indulgences? 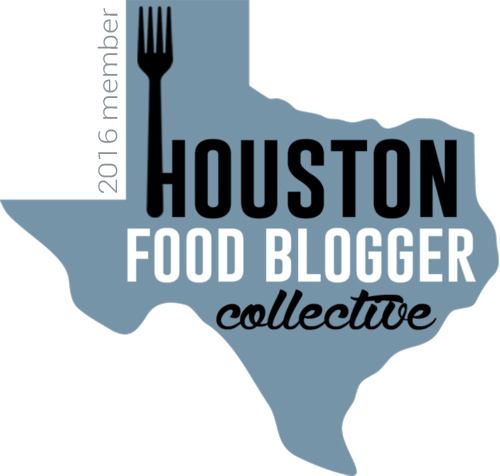 The Tasting Room is a small Houston chain, and I visited their Kingwood location last October with Meredith. Now I've had many a grilled cheese in my day. I've had many an awesome grilled cheese in my day. 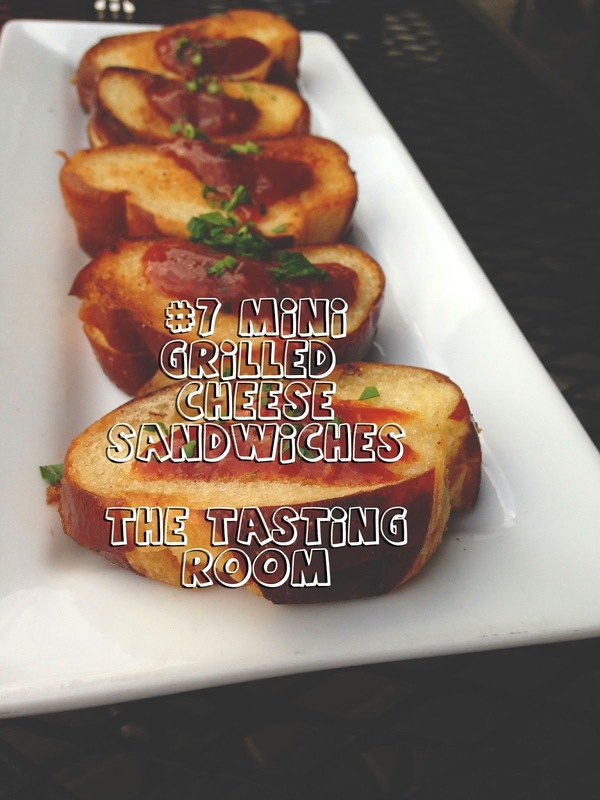 The mini grilled cheese sandwiches at The Tasting Room were stupid phenomenal. Silky, dripping goat cheese is enclosed by little baby pretzel buns and topped with a sweet tomato jam. This multifaceted appetizer is little, but mighty. Plus, they're small, which means they're cuter! I wrote about Coltivare not once (when I went with my friend Christy), but twice this past year, because after more visits with Jon, my friends Dan and Heather, and my parents, I had to mention a few new dishes I had tried. One of these dishes was their roasted brussels sprouts. The smoky, sweet, earthy sprouts are cooked with such care, I was witness to two brussels sprouts-hater conversions in their presence. 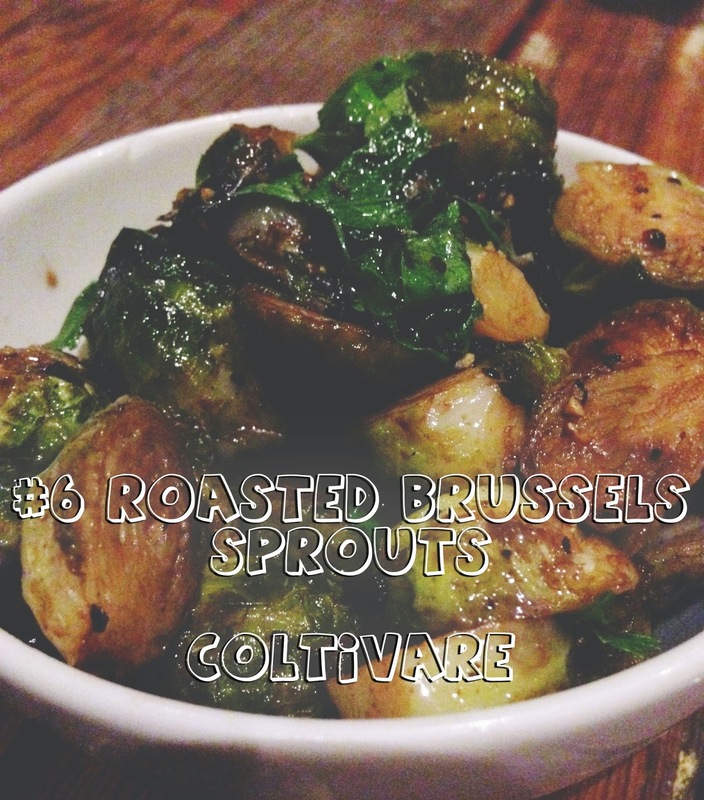 I have been back to Coltivare several times since, and I continue to order them every time. After much cajoling from my mom and dad, Jon and I went to dinner one night at Just Dinner on Dunlavy. Things I learned from that experience: 1) You can never escape your parents, no matter how hard you try; 2) Just Dinner is BYOB, so Jon and I were able to enjoy our own bottle of wine we brought back from the Hill Country; 3) The restaurant is by far the most romantic spot I've been to in town, and; 4) Their side of blue cheese polenta is mind blowing. 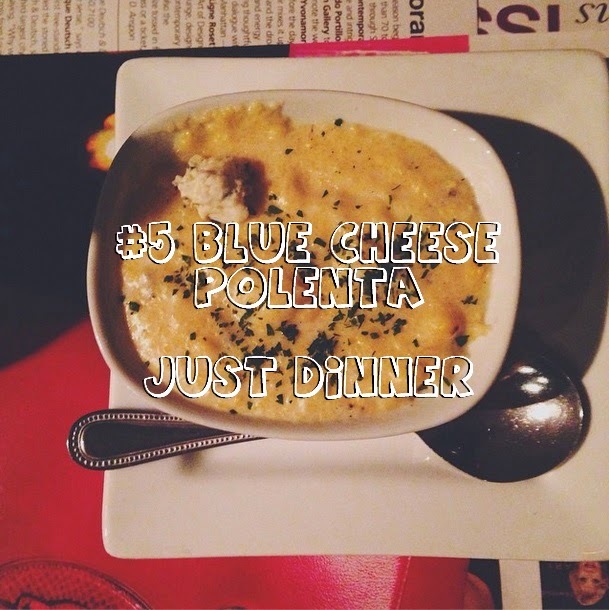 This indulgent little side was creamy and buttery, with just a hint of tangy blue cheese. It was absolutely perfect. I said it then that it was in the running for best things I had in the past year, and whaddaya know, it made Top 5! 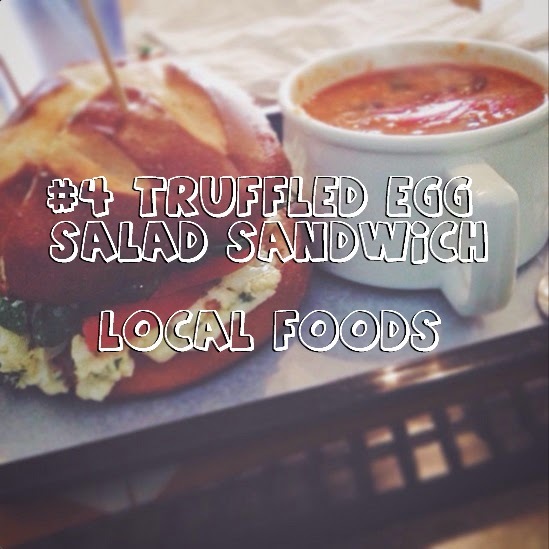 My mom and I went to Local Foods in Upper Kirby and were left completely flabbergasted by their truffled egg salad sandwich. The silky, sumptuous, playful truffled egg salad is topped with fresh veggies and encapsulated by a crispy, fluffy, hearty pretzel bun. The sum of all parts is downright explosive. I've been back for lunch several times since, and I have this every time. It's just that good. My first year back I was convinced that the Bangkok fries at Boheme were the best fries I'd ever had (they're awesome, you should definitely try them!). 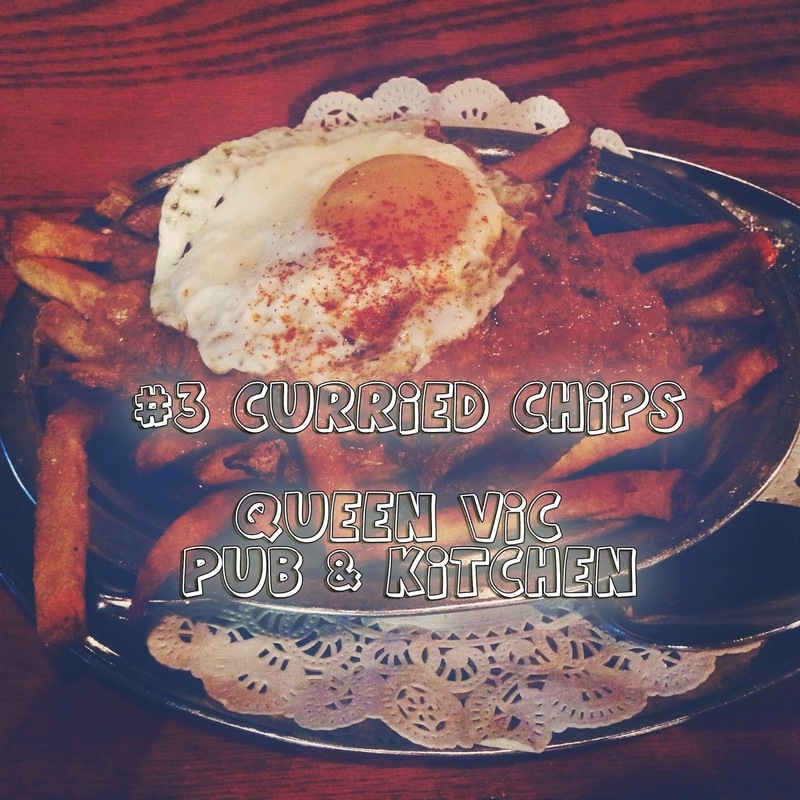 And this past year they may have been knocked down a spot by the curried chips at Queen Vic Pub & Kitchen. During our One Year Friend-a-versary celebration last October, my friend Megan and I were completely blown away by this dish. A generous amount of spicy curry envelopes beautifully browned fries. The whole thing is topped off with a runny egg, which sends the diner into absolute Food Nirvana. It's absolutely incredible. After going for a run one evening through River Oaks with Jon (HA. Remember that time I ran. ), we hit up Local Pour for some bevvies and bites. 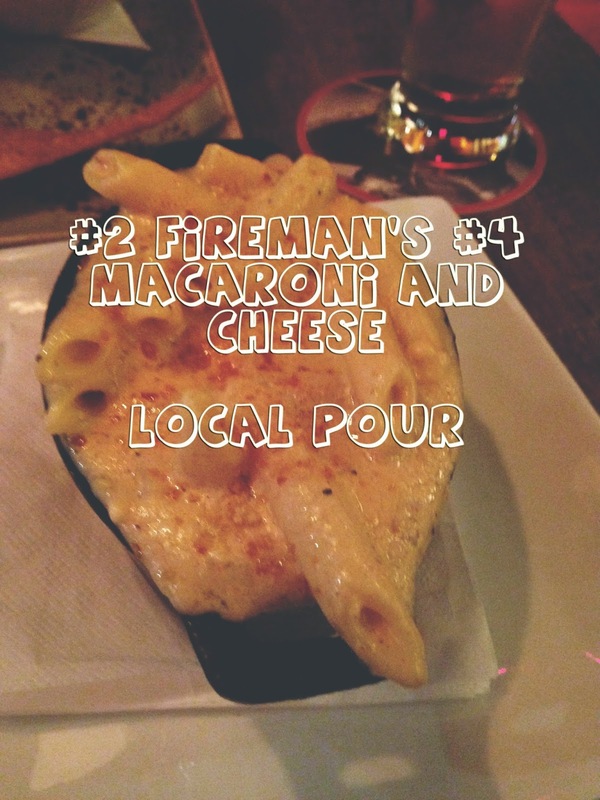 Little did I know I was about to eat my second favorite dish of the year, the Fireman's #4 macaroni and cheese. This bubbly, gooey, soul-warming little side dish is a complete masterpiece. For how simple it is, you wouldn't expect as much. But you should expect as much. Served piping hot in an adorable little cast iron "cauldron", the magnificent, unassuming side dish is packed with velvety, decadent flavor and lots and lots of love. For anyone who's been following along this past year, this one will come as no shock to you. "The Dish So Nice I Wrote About the Restaurant Twice." 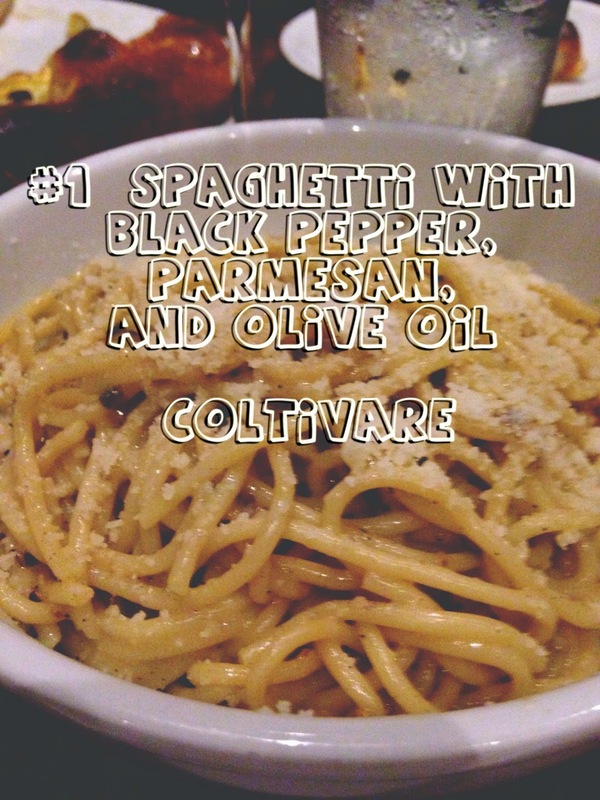 I went back to Coltivare this past winter for my second visit, and I had such an out of body experience with their spaghetti with black pepper, parmesan, and olive oil, that I had to write about it again (along with the aforementioned brussels sprouts). I even made the bold claim that it was the best dish I've had in Houston. I've been back countless times since, ordered this dish every time (as I have with the sprouts), and I still stand firmly behind my statement. The freshly crafted pasta welcomes the smooth olive oil, clumpy parmesan cheese, and poignant pepper in one giant, warm embrace. The intricate dance on your palate is baffling because the dish is so seemingly simple. But it is by far the best thing I've eaten in Houston. And it is hands down one of the loveliest, most masterful food creations I've ever experienced. 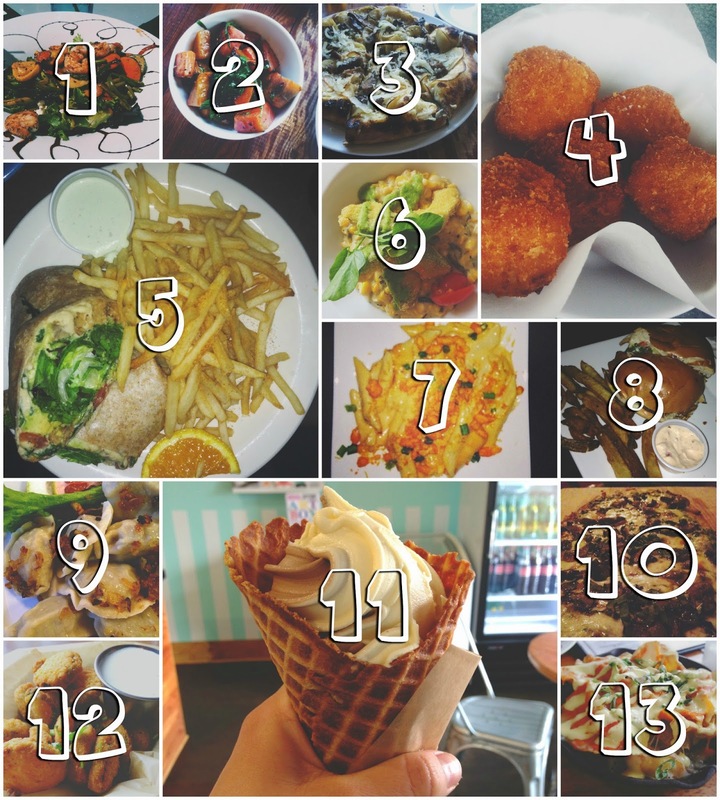 And that's that - My Best of Houston list from my second year of being back! Like I said, there have been many changes in my life, but I am so fortunate to be able to continue to try so many exciting, new, and unique flavors that are integral to the Houston culinary and cultural scene. For everyone who has been reading along - Thank you for listening to my ramblings and letting me continue to take you with me on my food journey through our awesome city. What a ride! Happy 2 Year Anniversary, Houston! I've had the grilled cheese at The Tasting Room, though I think the bread was different on my visit. The tomato jam was especially memorable, though I didn't love the dish as a whole. I still haven't made it to Backstreet Cafe but when I get there, that cake will be a high priority!